/ Get Rewarded for Your Referrals! 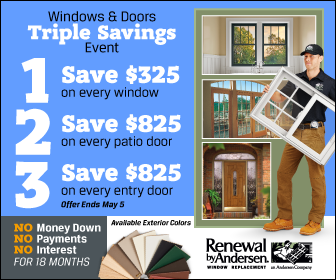 When you refer friends and family members who install new windows/doors with Renewal by Andersen of St. Louis, you both get rewarded. We’ll reward you and we’ll reduce the overall price of the project for your referral by the same dollar amount. That’s right, you get paid and your referral gets the matching amount off their project! Participation is easy. Just fill out the form with the required information and we’ll send you a confirmation email to let you know your referral has been received. *The reward amount is only applicable for a first-time purchase and distributed to both parties upon final payment of the referred party. If multiple purchases are made by the referred party over time, the referrer does not continue to earn money for each additional purchase. Referral rewards are applicable for new customer referrals (no previously-issued appointment).